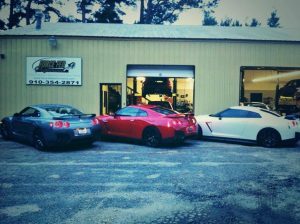 Force-Fed Performance is your premier performance shop in the eastern U.S.. With years experience in forced-induction platforms and custom dyno tuning ecu’s. We specialize in everything from Mitsubishi, Toyota, Subaru, Nissan and many other platforms. Our staff is complete with certified technicians and factory trained tuners to ensure great results from a consumer stand point. Our main goal at Force-Fed Performance is customer satisfaction wether it be a simple service or a all out purpose built track car we treat every project with the highest level of care. We also sell a wide variety of aftermarket performance parts and accessories. Many of which we keep in stock. If we don’t it, we can get it. We offer a wide variety of services on almost any high-performance platform. Our work speaks for itself. Featured in magazines and breaking hearts on streets nationwide.